NAIROBI, Kenya, February 17, 2014 (ENS) – Working together, law enforcement officers from 28 countries have made over 400 arrests of wildlife crime suspects and more than 350 wildlife seizures in a one month operation code-named Operation Cobra II. Several of those arrested were identified as wildlife trafficking kingpins. The operation included the first joint China-Africa undercover sting that identified and arrested members of a major ivory trafficking syndicate. Completed on January 27, the global wildlife law enforcement operation was staged by an international coordination team based in Nairobi and Bangkok and chaired by the Lusaka Agreement Task Force, or LATF, and the China National Inter-agency CITES Enforcement Coordination Group, with links to countries across Africa, Asia and in the United States. “The seizures of contrabands were very good, but the real impact was in the intelligence gained, networks developed and the number of investigations, arrests and prosecution of the suspects behind these illegal shipments,” said Ebayi. During Operation Cobra II, investigators from the 28 participating countries teamed up with the World Customs Organization, the UN Convention on International Trade in Endangered Species, or CITES, the international police force Interpol, the Lusaka Agreement Task Force, the ASEAN Wildlife Enforcement Network, and the South Asia Wildlife Enforcement Network. They exchanged intelligence on a daily basis in real time, targeting poachers and traffickers of endangered elephants, rhinos, tigers, pangolins, turtles and other species sought by criminals. Participants relied on CENcomm, the World Customs Organization’s secure and encrypted communication tool, to exchange intelligence and information and to coordinate their operational activities. The operation resulted in the seizure of 36 rhino horns, over three metric tonnes of elephant ivory, more than 10,000 turtles, over 1,000 skins of protected species, over 10,000 European eels and more than 200 metric tonnes of rosewood logs. 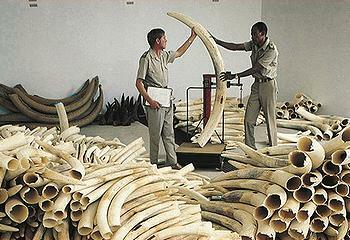 Interpol and the CITES Secretariat coordinated follow-up investigations into several seizures, collection of samples from the confiscated ivory in Uganda for DNA analysis. In addition, new intelligence on poaching and trafficking syndicates was accumulated, arming governments to continue investigations with increasingly clear targets. Operation coordinators evaluated Cobra II and made joint plans for continuing and improving their cross-border operations in the future. At last week’s London Conference on the Illegal Wildlife Trade, Interpol President Mireille Ballestrazzi emphasized to global leaders the need for collective action against “the unprecedented growth” in wildlife crime. Operation Cobra II brought together Customs, police and wildlife authorities to combat wildlife crime in Botswana, Brunei-Darussalam, Burundi, Cambodia, China including Hong Kong SAR, Congo, Ethiopia, Ghana, India, Indonesia, Kenya, Lao People’s Democratic Republic, Liberia, Malawi, Malaysia, Myanmar, Mozambique, Nepal, Philippines, Singapore, South Africa, Tanzania, Thailand, Uganda, the United States, Vietnam, Zambia and Zimbabwe.